500 g Brussels sprouts (cleaned and halved), aceto balsamico cream, brown cane sugar, olive oil. 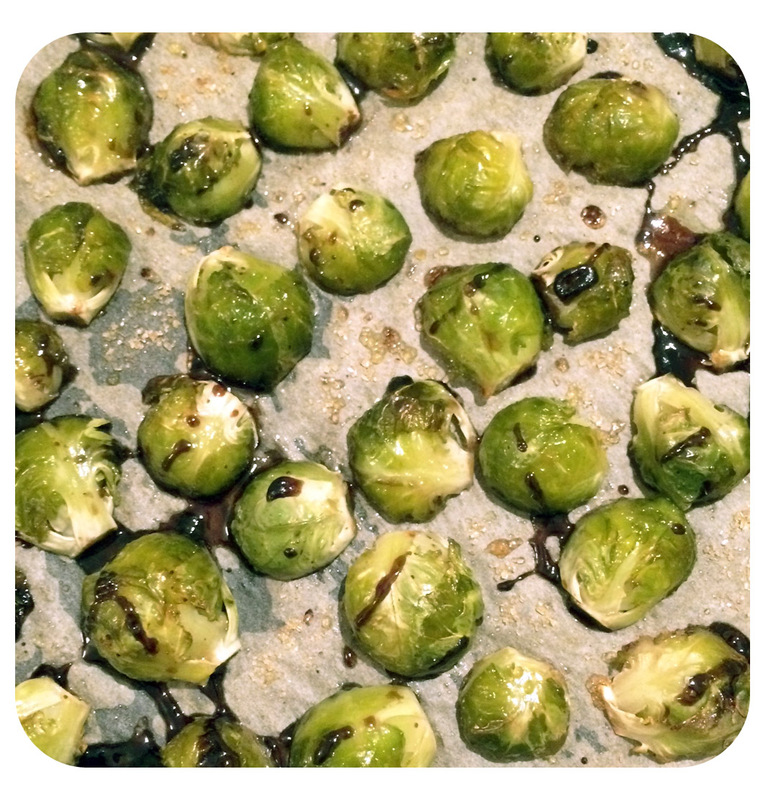 Put the Brussels sprouts onto a baking tray, with the cutting side looking down. Sprinkle with olive oil. Roast in the oven for 16 minutes at 220°C. Sprinkle with aceto balsamico cream and some brown cane sugar. Put again in the oven and bake for another 18 minutes at 220°C. With Quinoa via A Beautiful Mess – Balsamic Roasted via Averie Cooks – Salad via A Cup of Jo. Balsamic Honey Roasted via How To: Simplify – With Red Grapes via Nutrition Stripped – With Beetroot via The Roasted Root. Brussels sprouts are the personification of winter vegetables. 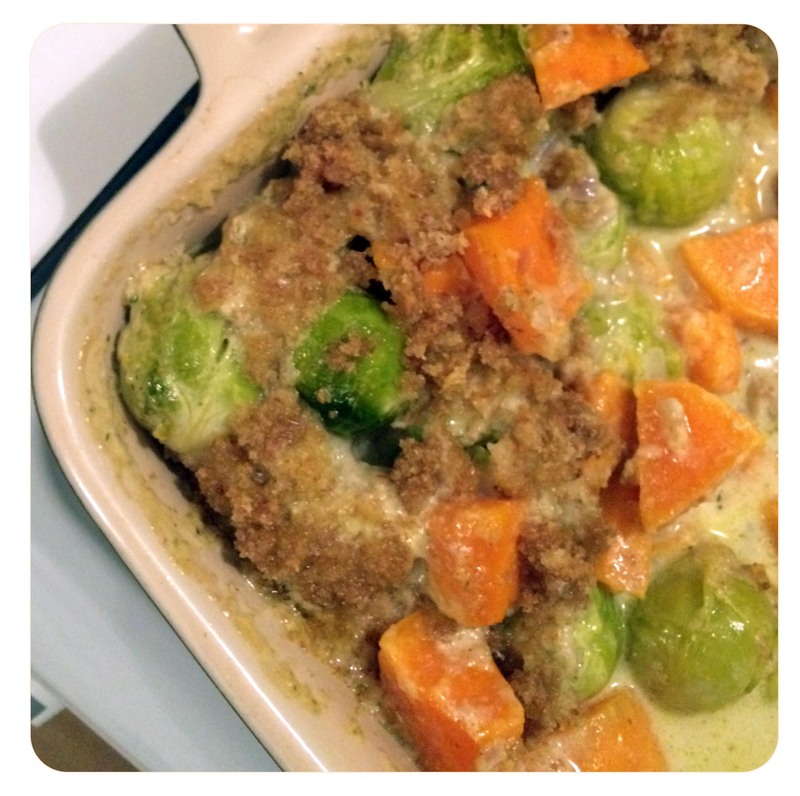 In the past I always thought about Brussels sprouts as a side dish or maybe as vegetables in a casserole… But since the little green balls somehow turned into a trendy vegetable (with enormous prices) in the U.S., there are lots of tasty recipes out there. Here’s a small Brussels sprout recipe collection I would like to try out … at least as long as Brussels sprouts are still affordable in Germany ;).